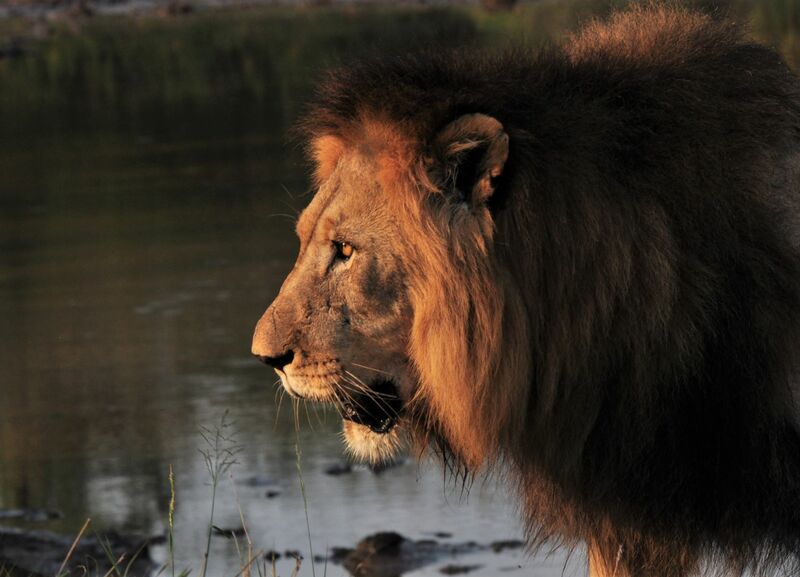 With its tawny coat, regal mane and piercing golden eyes a lion is indeed a creature of beauty. Long revered, even worshipped by some, its rise to ascendency as the king of beasts is actually relatively modern and may have coincided with the rise of humans. The fossil record reveals equally impressive sabre-toothed cats and a lion-sized cat with a jaw like a tiger contending for the role of Africa’s dominant carnivore as recently as 10,000 years ago. As designers of high fashion prepare their collections for the catwalks of New York, London, Milan and Paris, the African savanna presents its own unique designs through a very different catwalk display. Enter lion (Panthera leo), leopard (Panthera pardus) and cheetah (Acionyx jubatus) – Africa’s large cats. The leopard, with its muscular build and stunning black rosettes etched into the deep gold of its coat, is the epitome of a sleek and secretive hunter. In many African cultures the leopard is the ultimate symbol of power because of its courage and tenacity in attack. When Pharaoh Tutankhamun’s mummy was discovered, a statue which portrayed him mounted on a leopard was found in the tomb with him demonstrating just how revered this cat was in ancient Egypt. If royalty and power are the particular domains of lion and leopard then elegance and grace are the dominion of the cheetah. Lithe of body and limb the cheetah uses speed as its means of catching prey. At full pace it may have a stride of up to 9m with all four feet airborne at the same time at least twice in each stride. The cat family – Felidae – is broadly split into two main genera, Panthera and Felis. Often referred to respectively as large and small cats the divide has more to do with the ability to purr than with size or behaviour. In lions and leopards, a length of tough cartilage runs up the hyoid bone [a U-shaped bone situated just above the larynx (voicebox)] to the skull. This feature prevents purring – since the hyoid bone cannot resonate – but gives the larynx enough flexibility to produce a roar – up to a staggering 114 decibels’ worth in one lion tested (your car stereo on full volume!). In the genus Felis the hyoid bone is inelastic so when in a purring frame of mind, a cat such as your domestic tabby vibrates its larynx which in turn causes the hyoid bone to resonate. All purring cats can make this sound continuously, both breathing in and out. Although classified as a true cat, the cheetah is placed into its own genus of Acionyx based on its inability to fully retract its claws. It is also the only large cat that can purr but not roar. Another unique cheetah sound is a high-pitched chirp – more like the call of a bird than that of a feline. Despite these differences the cheetah does share traits with its Panthera relatives including active scent marking through the squirting of urine onto shrubs and bushes often preceded by scraping and wiping with their back feet. One truly unusual smell in the bushveld is that of fresh buttered popcorn – yes you did read correctly – popcorn! Leopard urine contains a chemical called 2-AP – seemingly stronger in males than females – the same compound that gives popcorn its characteristic aroma. With a sense of smell 14 times more sensitive than humans,’ olfactory communication plays a major role in the life of cats, for activities ranging from the demarcation of range boundaries to determining breeding status. So, whether it is a mane of tawny hair, a coat of gold and black or the latest Eau de parfum you wish to experience, the African stage has a collection to rival anything the catwalks of Europe or America have to offer!